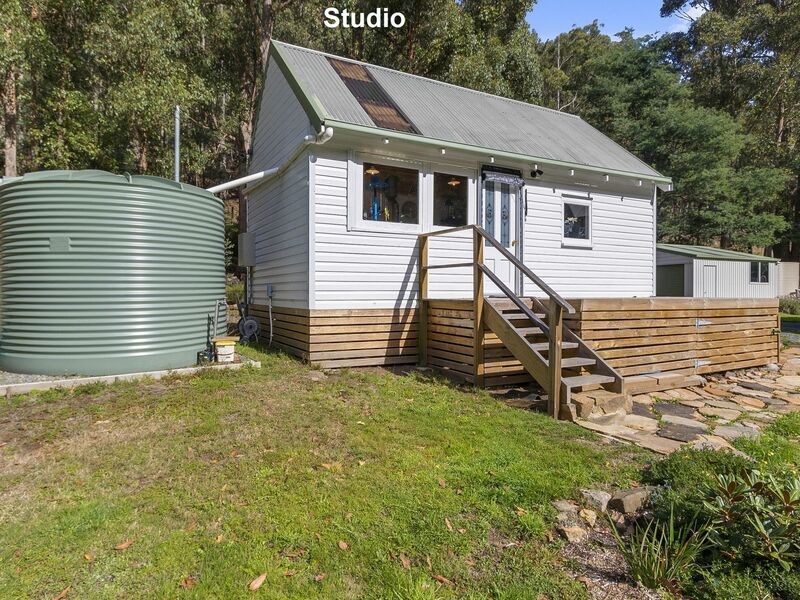 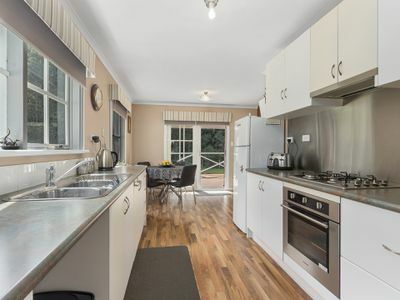 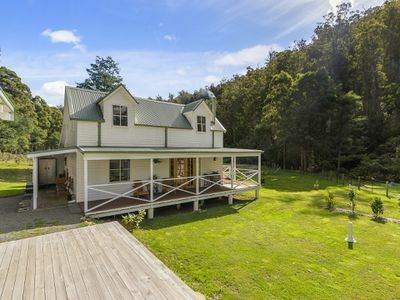 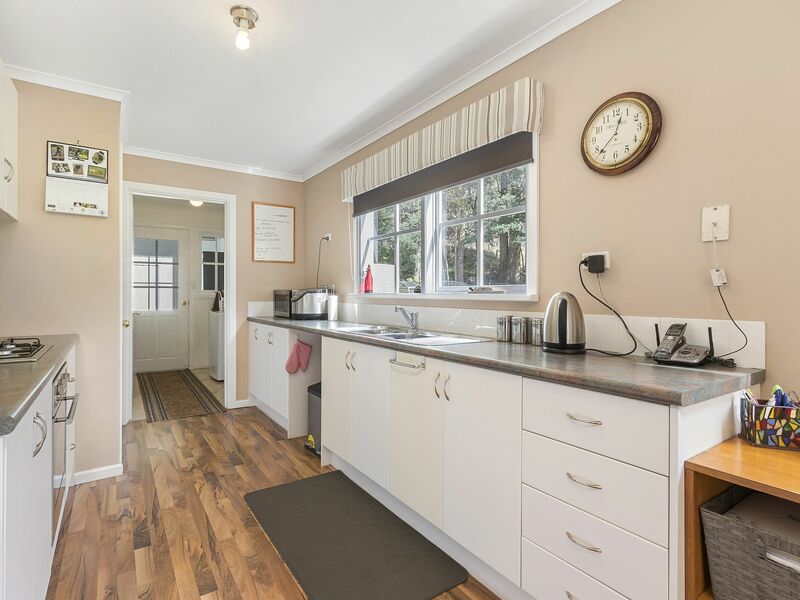 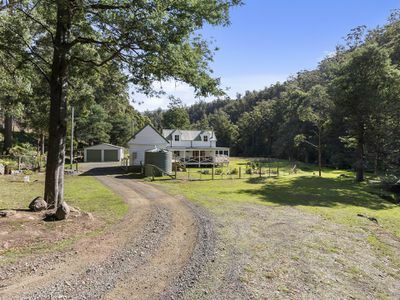 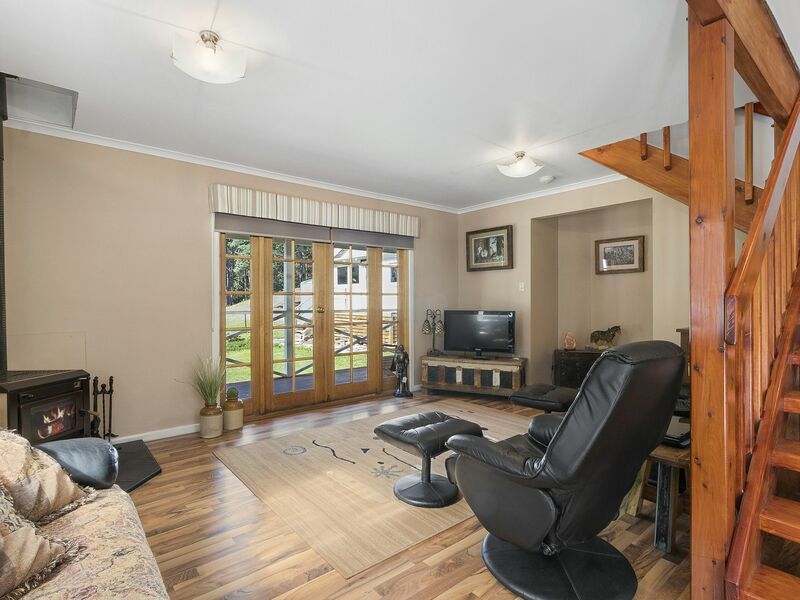 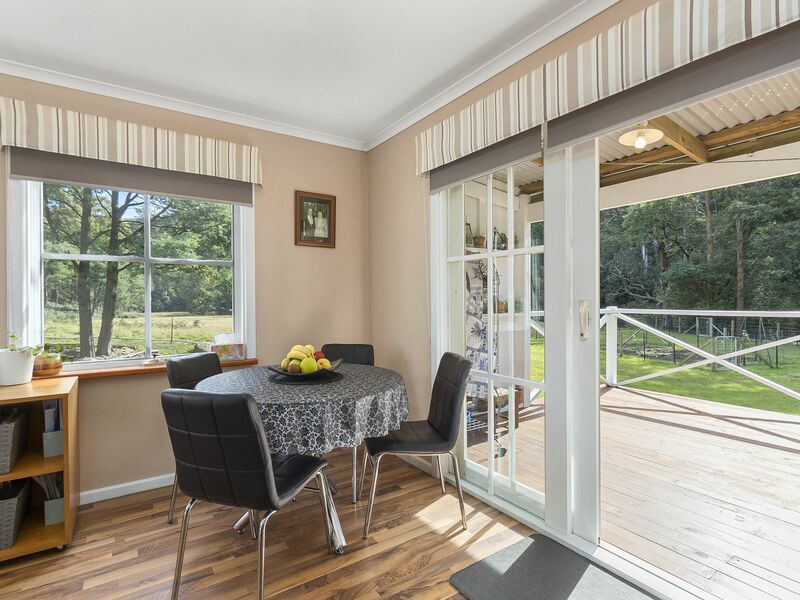 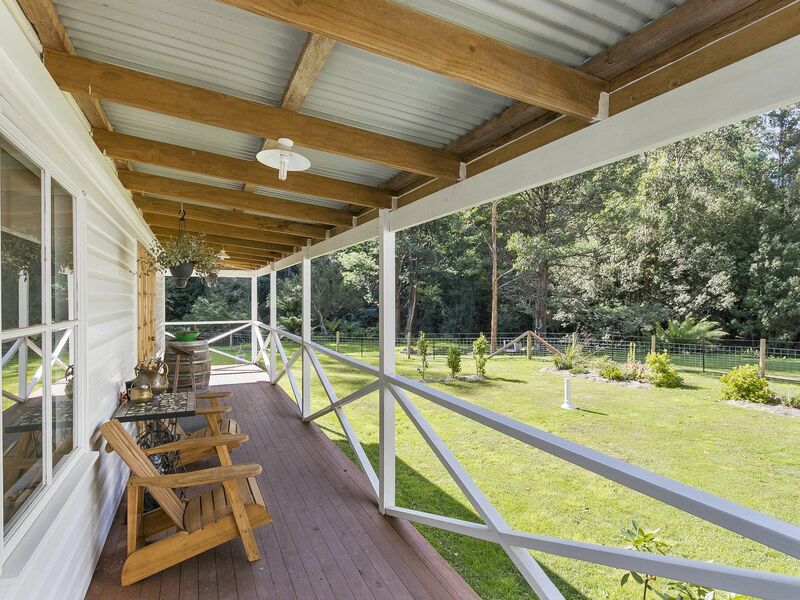 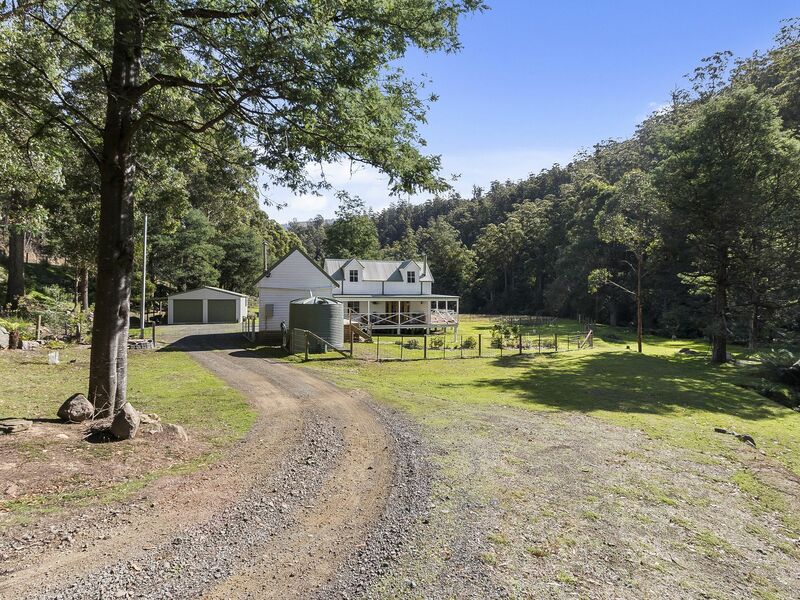 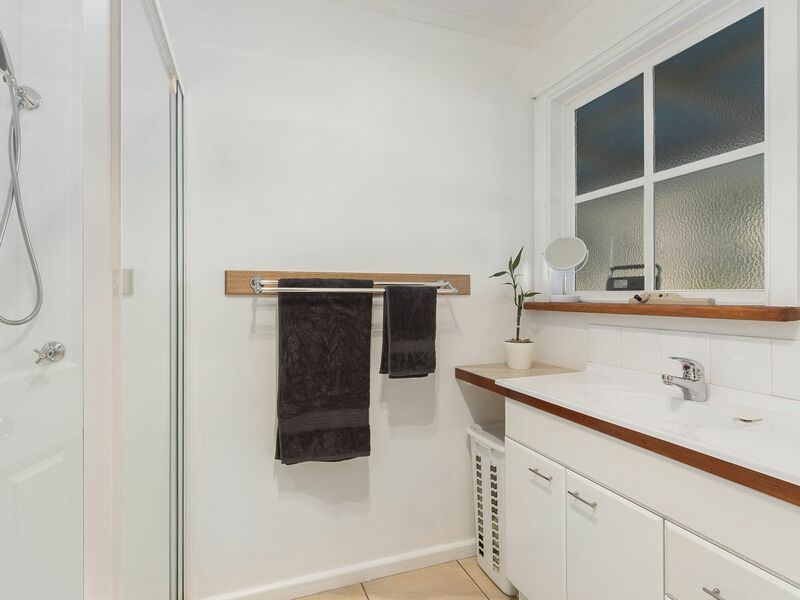 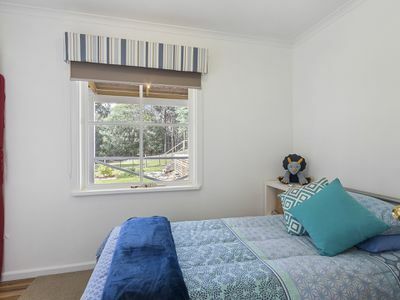 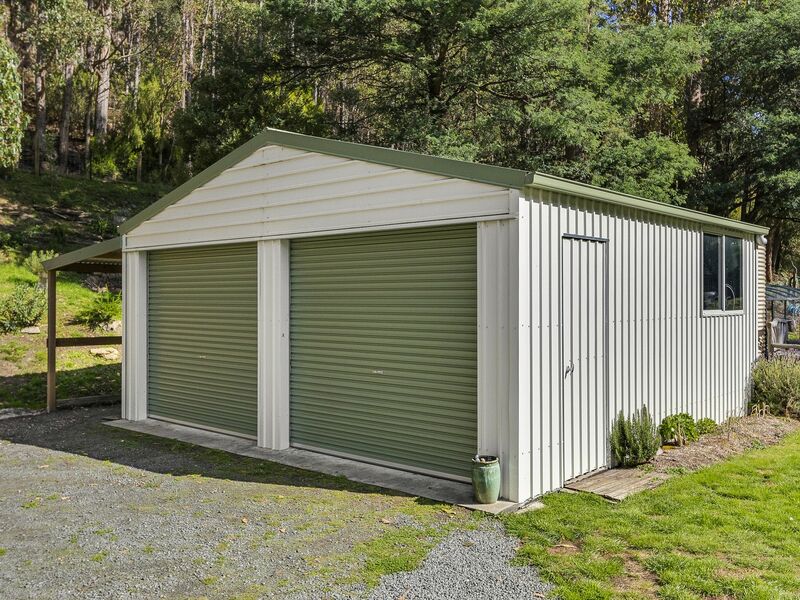 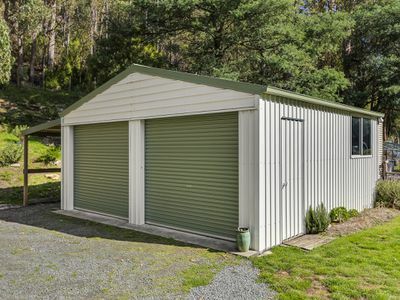 Located a mere half hour from Hobart and within close proximity to both Cygnet and Huonville, this home offers a sense of complete privacy while ensuring you don’t have to sacrifice convenience. 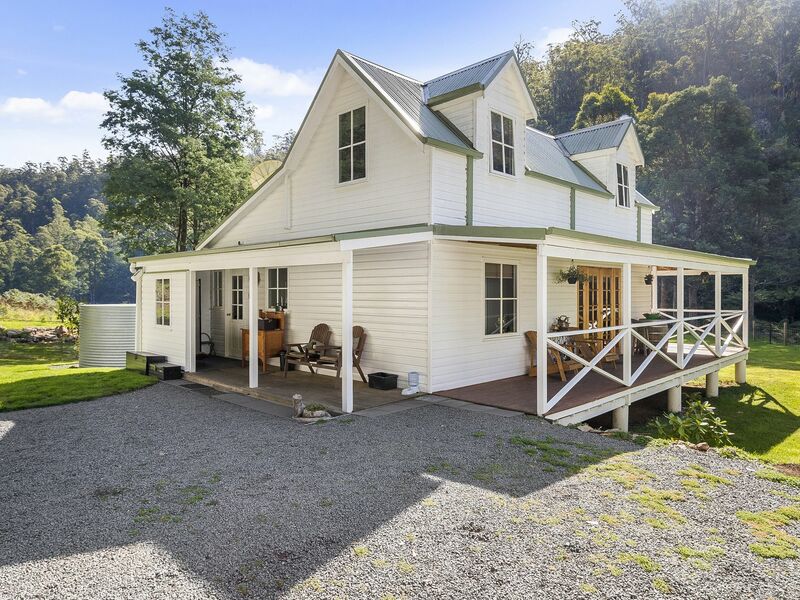 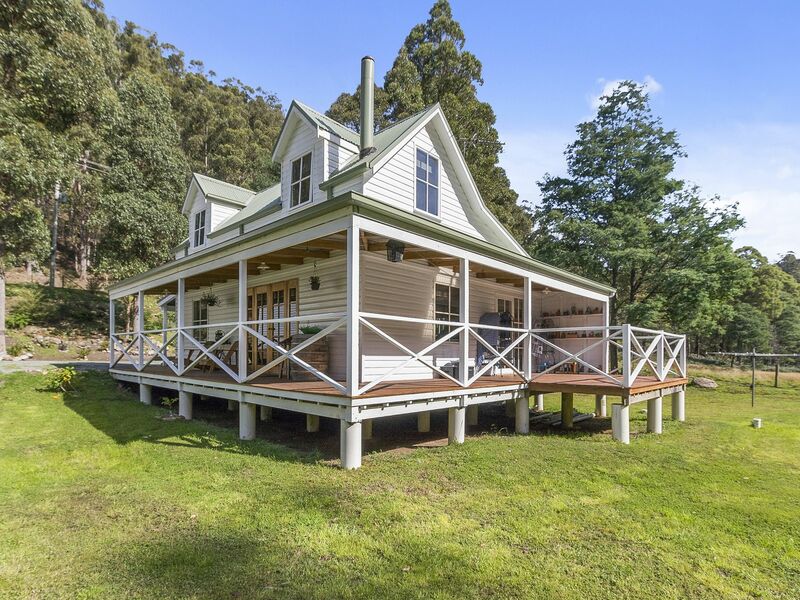 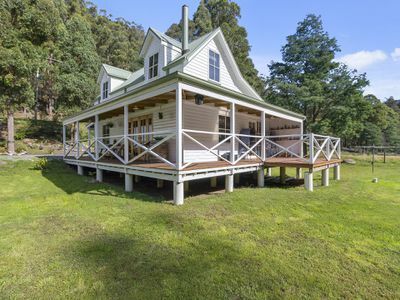 The gorgeous 3 bedroom cottage sits proudly on over 3 acres of land. 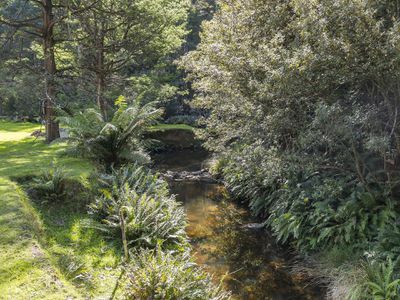 There is a well fenced house garden that is bursting with floral varieties and it also offers an additional fenced area within these grounds for more protected productive growth. 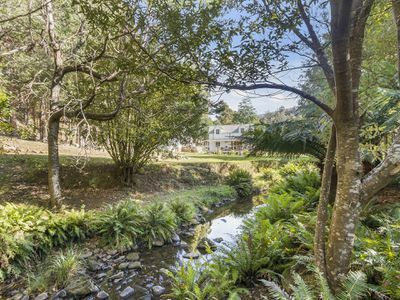 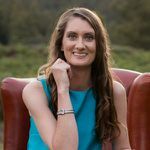 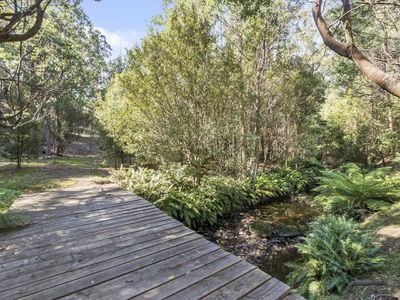 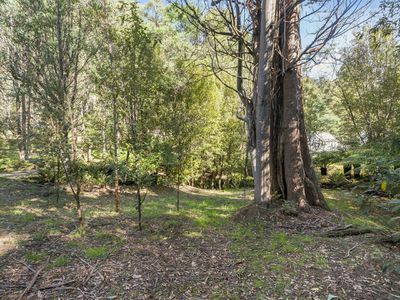 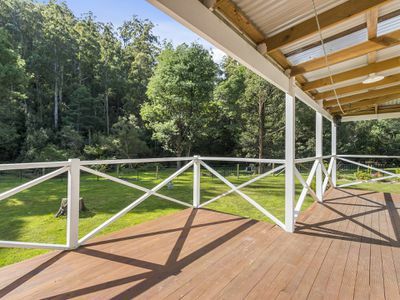 The land is separated by the permanent creek with the timber bridge bringing you away from the more formal landscaping and into the stunning, rainforest atmosphere by the Creekside. 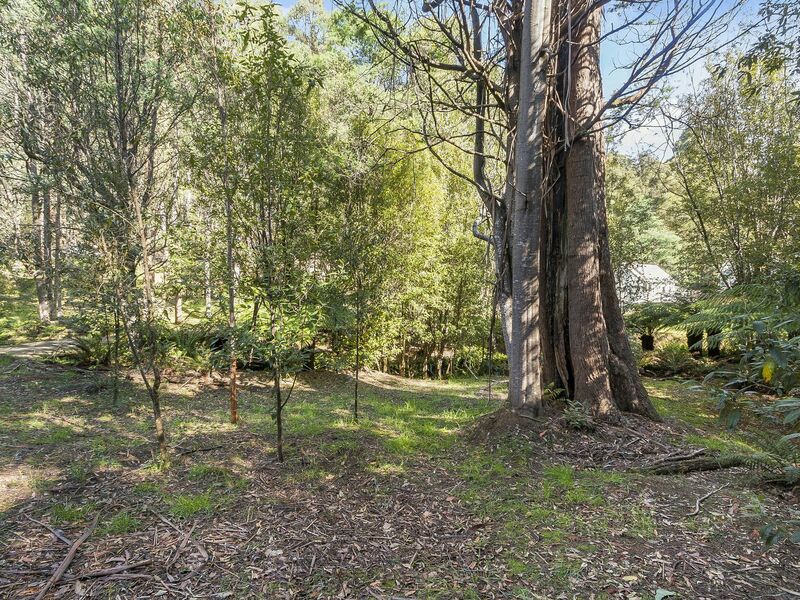 This space is filled with tree ferns and native gums and offers lush clearings that almost beg you to picnic on them. Short walks have been created to allow you easy access and there is plenty of scope to improve this space if you wanted to. 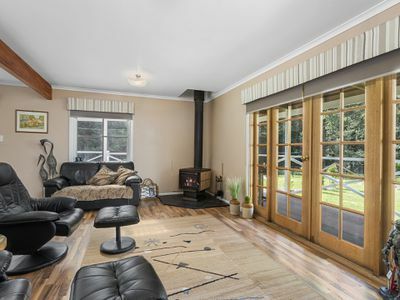 The interior of the home is just as impressive as everything outside it. On the lower level you’ll find the galley kitchen, the open plan living and dining which is heated by the wood fire and multiple accesses onto the decking that wraps itself around three sides of the home. 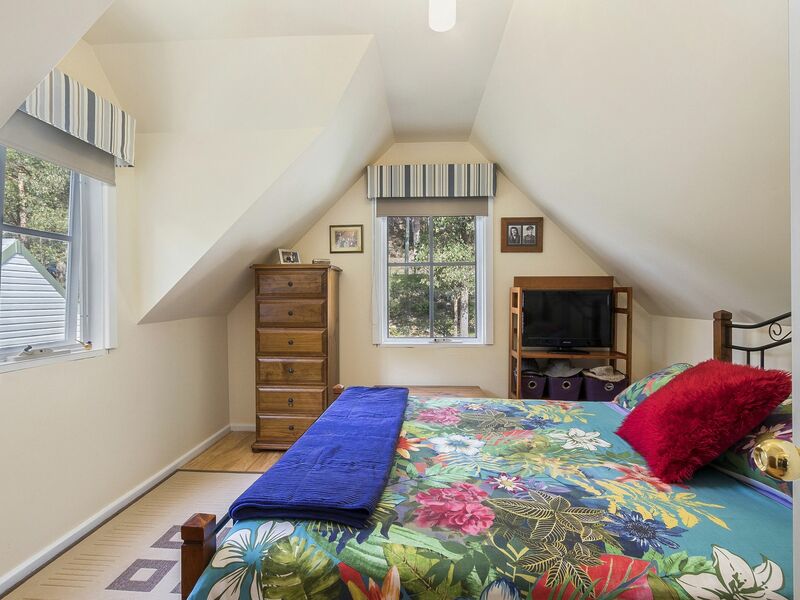 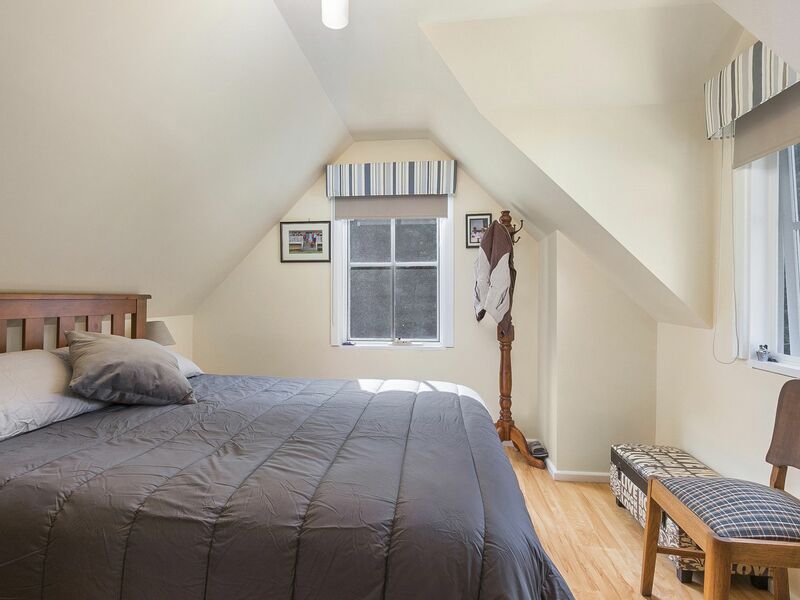 Two of the three bedrooms are found on the upper level and both have charming dormer windows that allow the light to filter though along with the views of the surrounding landscapes. 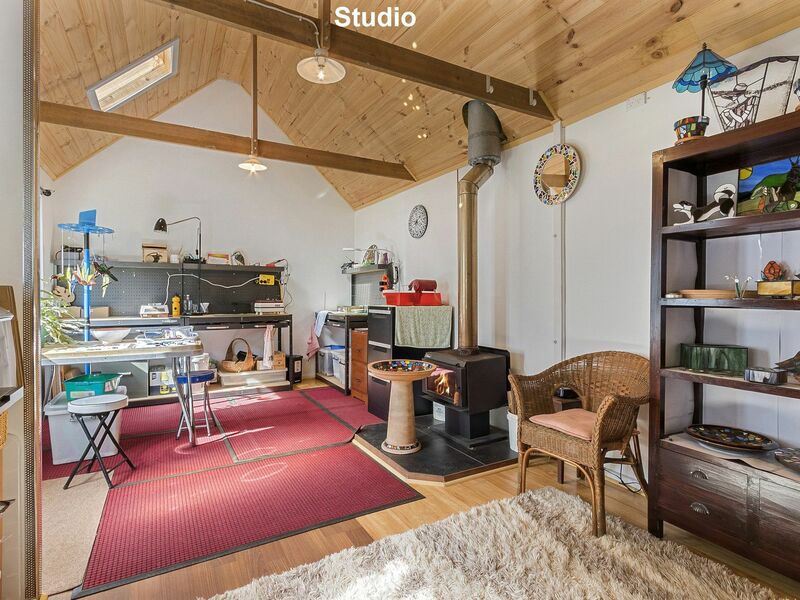 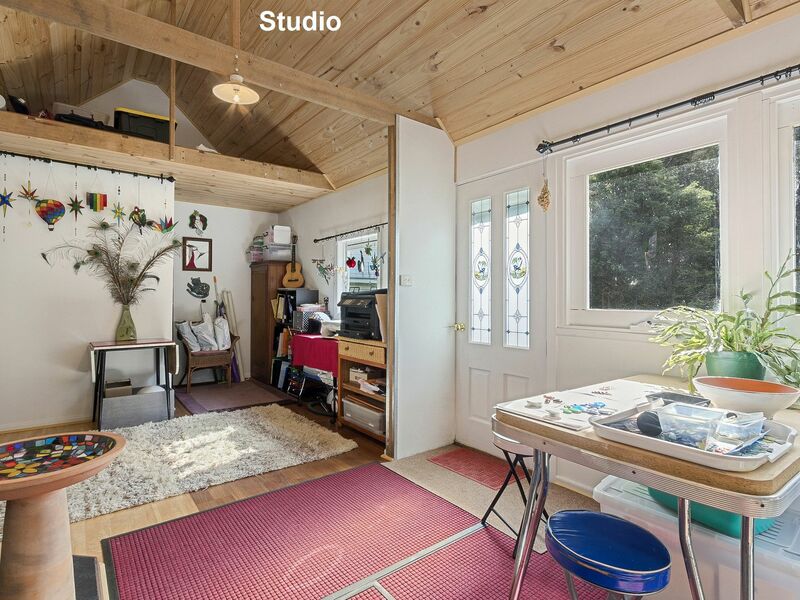 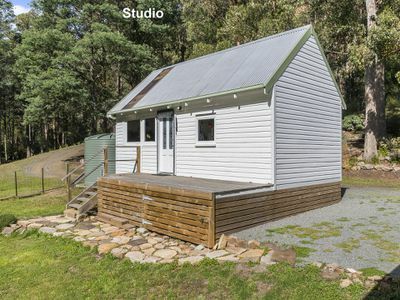 As well as a double garage, there is a stand-alone studio not far from the house which is ideal for an artists studio and perfect to use as a guest space when family or friends are visiting. 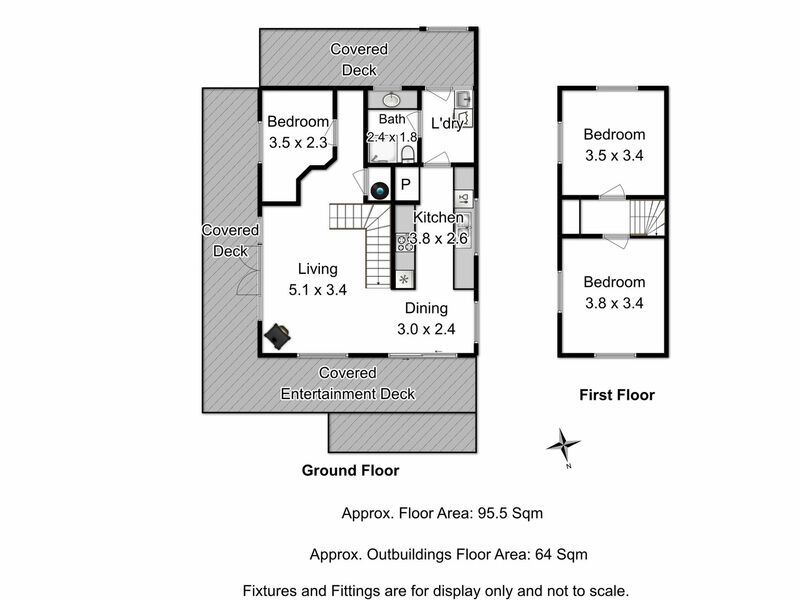 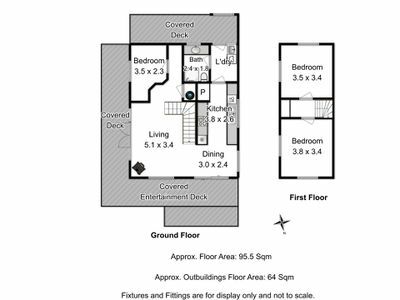 A property like this is likely to be incredibly sought after so don’t hesitate in phoning me to organise you appointment to view.